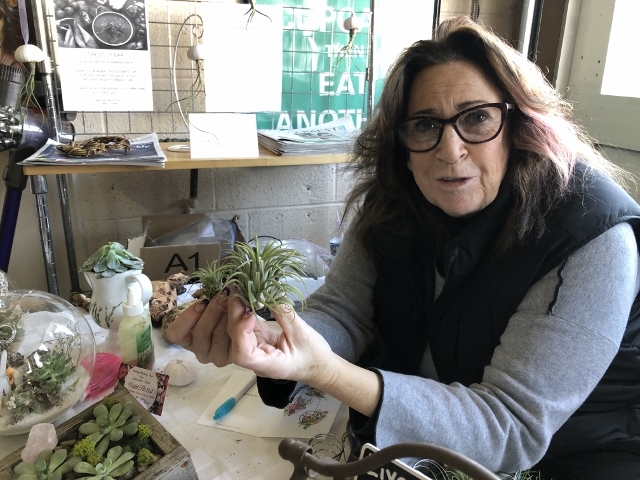 Abby Bender shows some air plants. 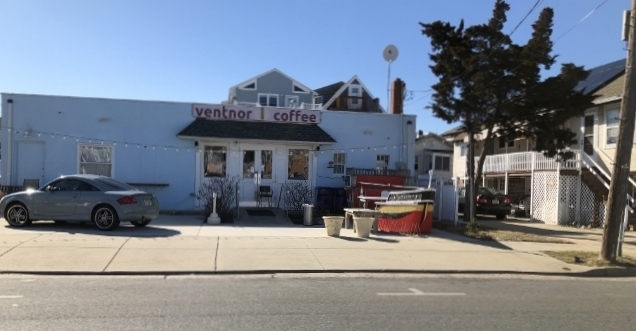 VENTNOR – It’s always fun to shop pop-ups because you never know what you will find. 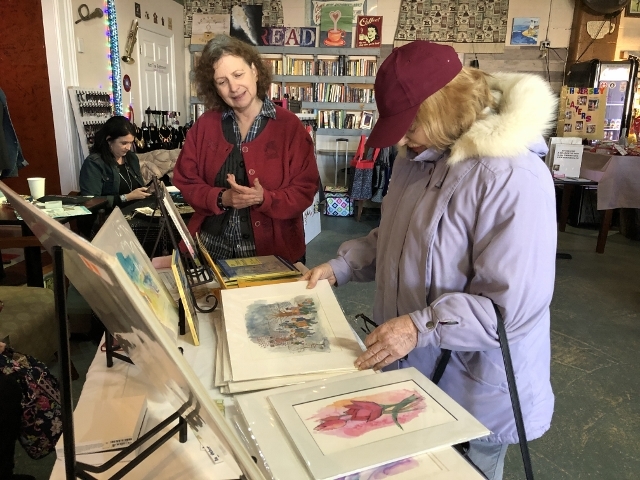 On Saturday, Feb. 9, a pop-up held at Ventnor Coffee featured a small group of entrepreneurs selling arts and crafts, national brand items and hand-made products. 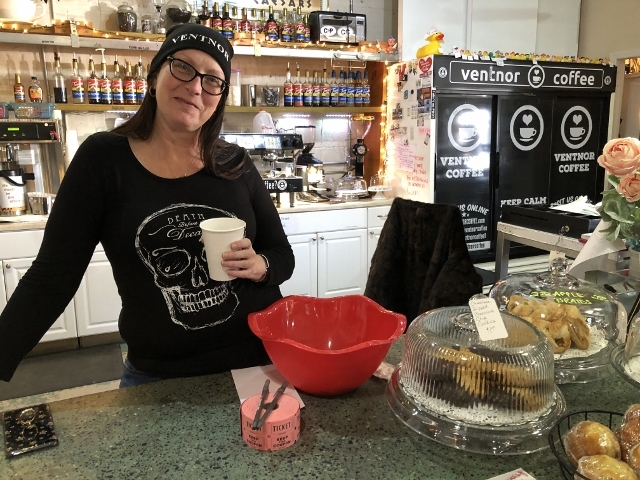 The pop-up was the first of several being held at Ventnor Coffee this year to benefit RNS Cancer and Heart Fund. 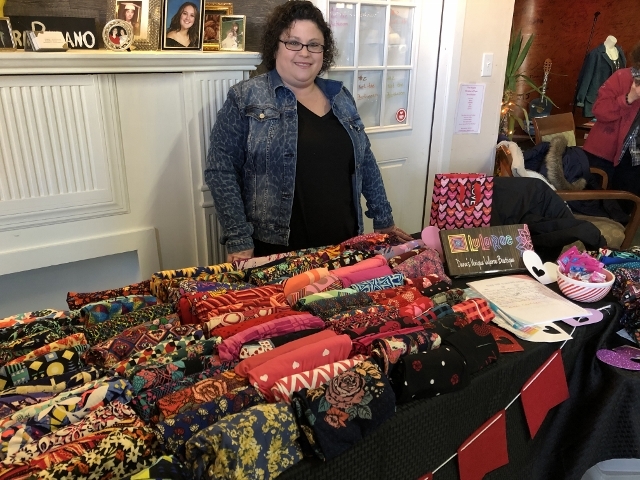 Each of the vendors contributed $15 toward the fund, which offers support for families dealing with cancer and heart disease. “We plan on doing four pop-ups this year. 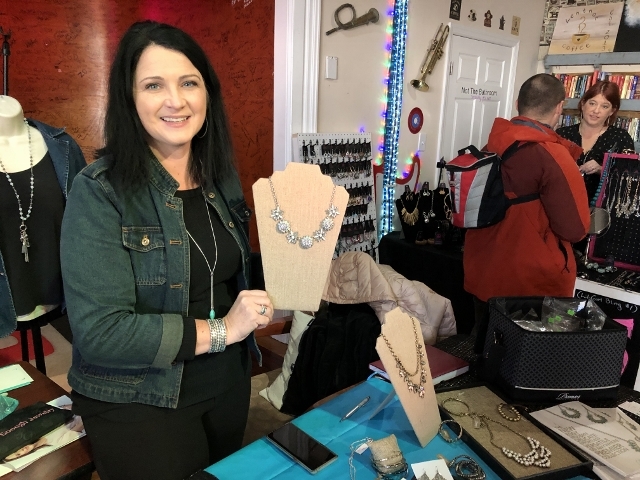 Any interested vendors can contract me on Facebook to participate,” organizer Christine Miller said. She was there offering “enchanted bling” by the Papparazzi line of jewelry, which she calls “a $5 habit” to spruce up an all-black wardrobe. Miller also provide Tarot readings at Ventnor Coffee from noon to 5 p.m. every Sunday. 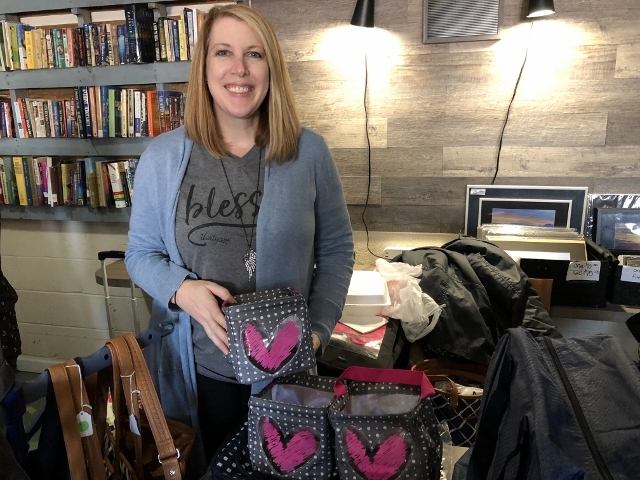 Fashion retailer Dana Morici showed a table filled with Lularoe leggings, and Kim Weaver showed thirty-one bags and cases, while Jen Calderone at the next table over offered jewelry she says will make you love your closet again. 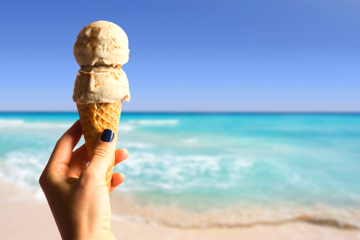 Calderone offers individual consultations and will even come to your house to coordinate jewelry purchases with your current wardrobe and provide brides with a little bling for attendants. Mirjam Rotteveel’s table displays little leather medicine pouches and other leather goods gleaned from Native American traditions. She said her husband Samuel Montano, a Native American who passed away six years ago, taught her how to make the bags when they lived in Albuquerque. Rotteveel said she travels to New Mexico to purchase the buttery soft leather and turquoise gems she uses for her hand-crafted creations. “Part of me missed being out there, so I try to get back there as often as I can,” she said. 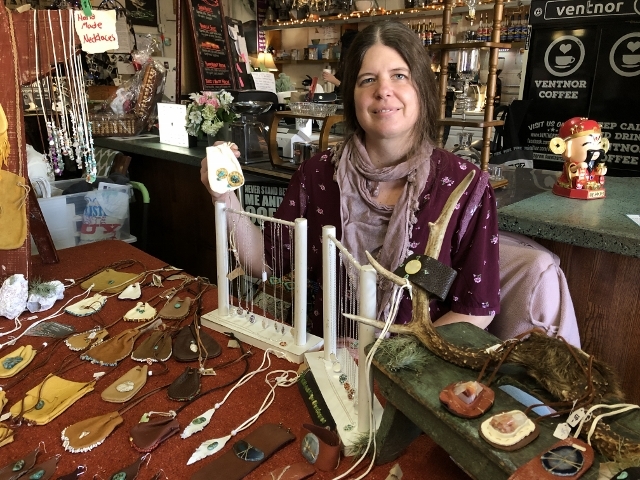 She has a shop on Etsy and sells her creations at Riverbend Baskets and Antiques in Tuckahoe. 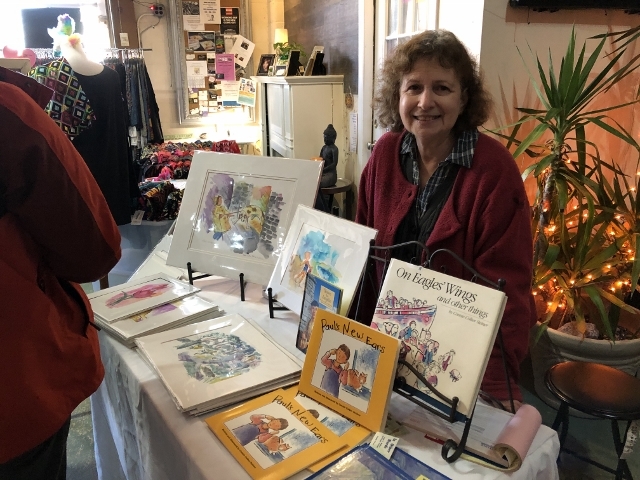 Connie Calker Steiner was selling her fine artwork and several of the children’s books she authored and illustrated. 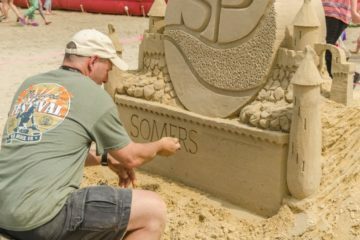 She is one of many fine artists who make Ventnor their home. Steiner said she worked as a writer for Sesame Street from 1981 and 1995 and her poems were turned into lyrics for the show. One of her books, “On Eagles Wings,” tells the story of the founding of the State of Israel through the eyes of children, who came from all reaches in the world. “Paul’s New Ears,” is not about deafness, she said, but tells the story of how Paul’s ears were always covered with long hair until one day, he gets a haircut. Steiner also displayed some of her lithographs. “I do mostly children’s subjects and animals,” she said. 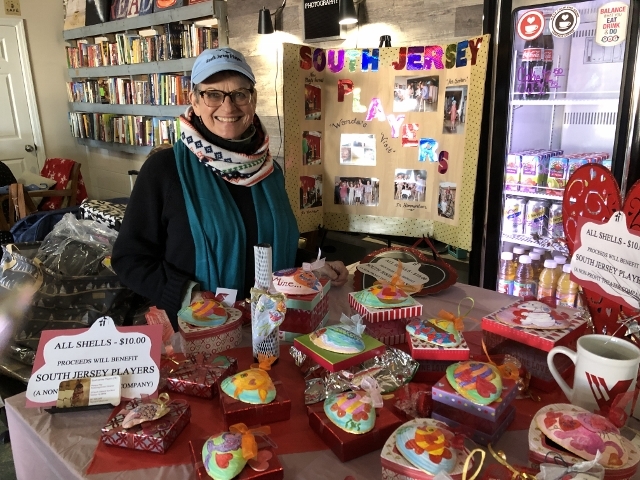 Marlene May of New York City and Ventnor showed some of the seashells she painted to raise funds for the South Jersey Players, a community theater group that meets at the Margate library. And, Abby Bender shared her hobby of placing air plants and succulents in sea urchin shells and wooden boxes. She got the idea after traveling to Costa Rica where air plants, which have no roots, grow on trees. 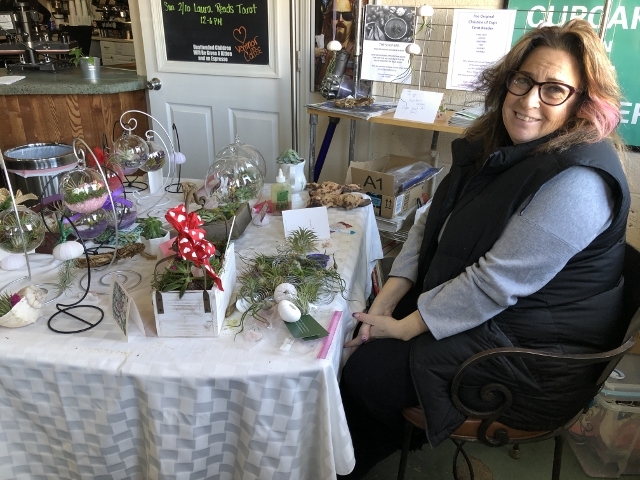 Her creations are on display at Rain Florist boutique and flower shop across the street from Ventnor Coffee.